Metallic liquid lipsticks are all the rage these days because, apparently, anything that a Kardashian-Jenner touches turns to gold. Ha. But don’t believe for one second that the youngest in that clan is a cosmetic genius and came up with the coveted metallic products first. Dose of Colors released theirs months before she did. Now that we’ve gotten that out of the way, let’s move on to the fun stuff. I’m not one to follow trends, especially one that’s perpetrated by a member of the family I mentioned above, but since we’re talking about metallics, I might as well share my favorite. My husband’s cousin gifted me with a tube of MAC Foil a year or so ago. At first, I was intimidated by the color. It’s a mixture of gold and copper, with minuscule specs of glitter. On the tube, it’s a bullet of warm promise. On my lips, it’s an ’80s disco diva’s dream. I was still determined to make it work, though (because it was a gift, and I don’t like throwing away gifts). So, I used it as a topper for my other lipsticks. 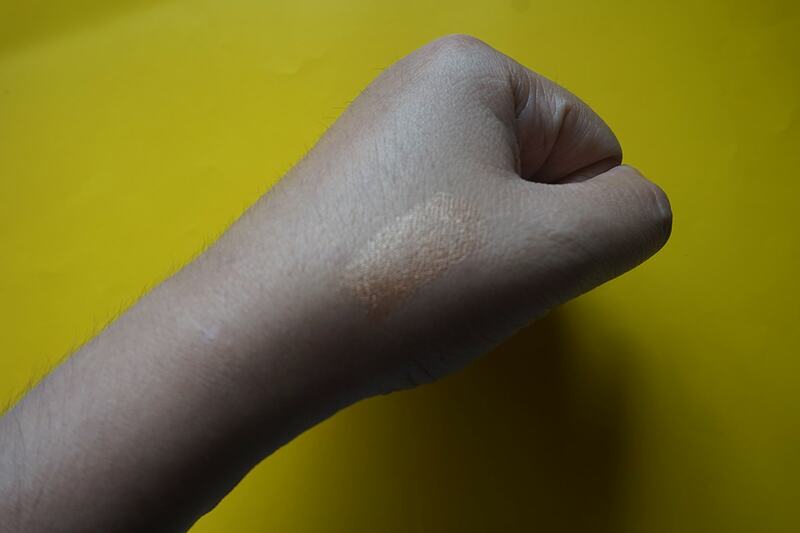 It gives off just a hint of shimmery gold to any color but doesn’t alter the base. 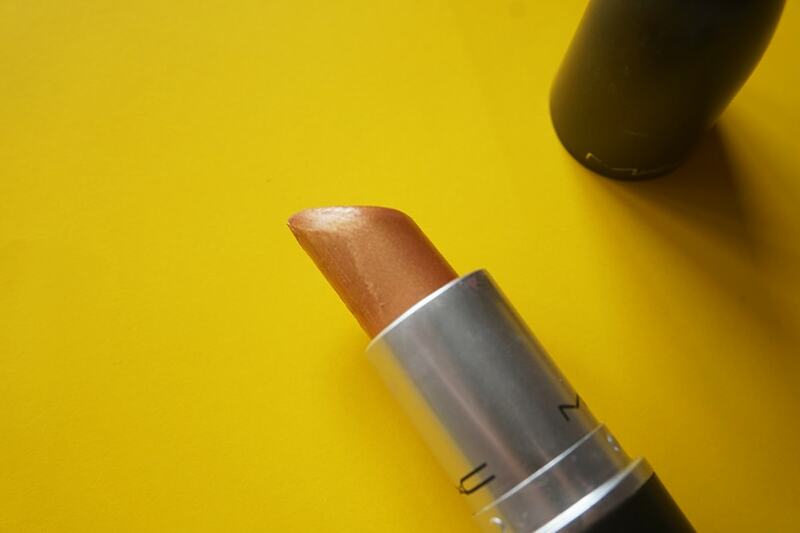 It makes any lipstick look foiled, as its name suggests. I’ve tried it on a bunch of colors, but I still favor pairing it with NYX Siren. Check out some of the combos I do below. I feel like reviewing the lipstick itself would be unnecessary since MAC’s such a popular brand, and most everyone already knows their quality. 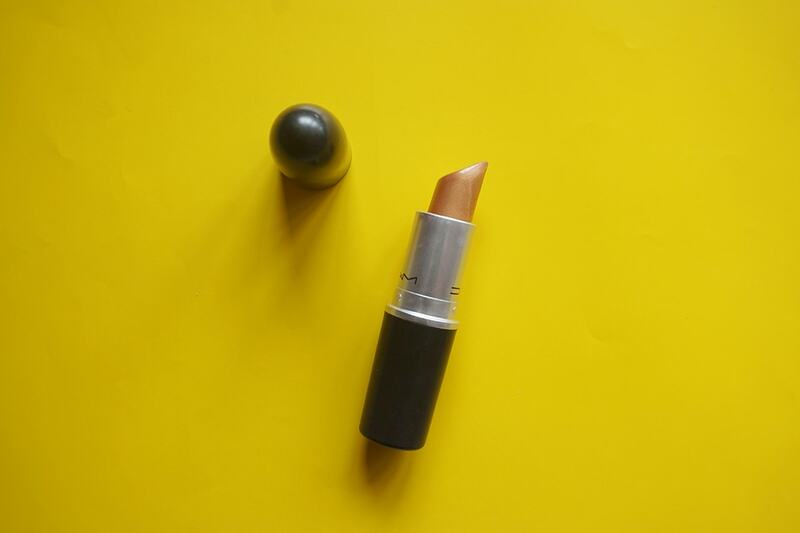 But just in case you wanted to know my take on this particular lippie from the brand: Apart from the sweet vanilla-like scent it has, I love that it glides on smoothly and doesn’t dry my lips. It’s not as opaque as, say, a matte lipstick, which actually makes it perfect as a topper. It’s not as “metallic” as the ones available on the market, but I actually like how subdued it is. 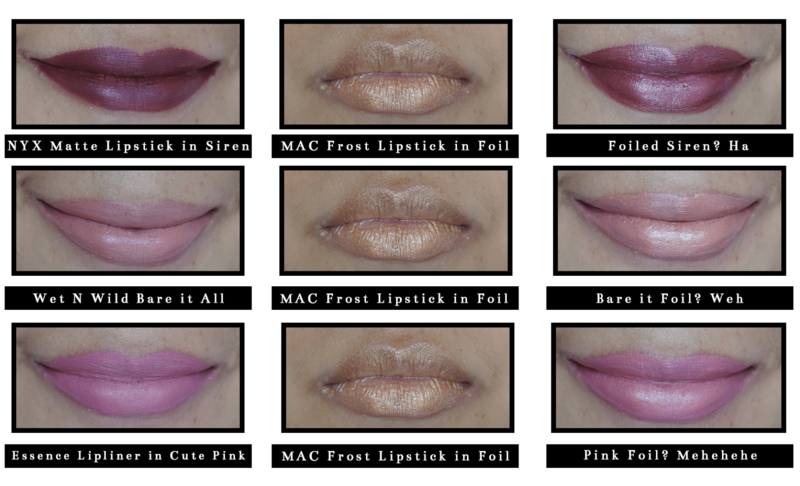 If you want to try the metallic lip trend, go right ahead and skip this if you don’t want the hassle of using two tubes of lipstick to achieve it. If you, however, already have this in your stash but don’t know what to do with it, using it as a topper is the way to go! 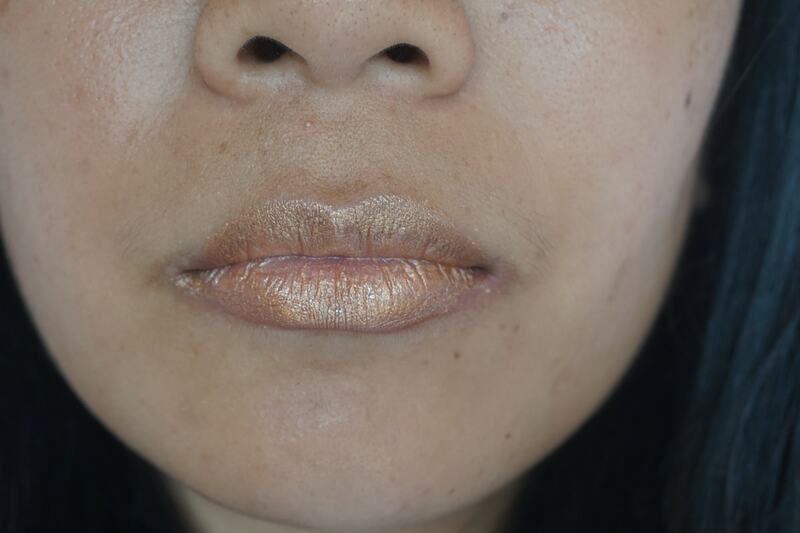 Now, tell me: What do you think about the metallic lip trend? Do you own any shiny, shimmery lipstick? Do you have a favorite lipstick topper, too?